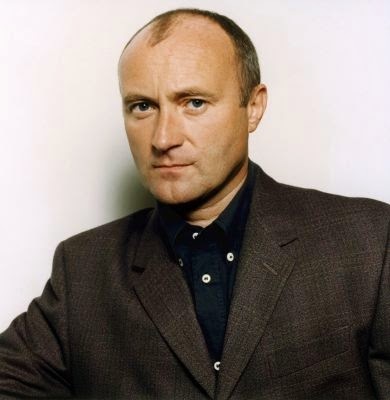 In hindsight it seems unbelievable how much progressive Genesis fans like me looked forward to the first solo album of Phil Collins (image credit) in 1981. In the end, Face Value was disappointing, consisting mostly of straightforward pop songs, but the macabre hit single In the air tonight was of a much higher calibre. The song is about a man who is drowning whilst another man watches without offering any aid, all of this being witnessed by Collins at a helpless distance. Actually, the song was symbolic for Collins' failing marriage. The instrumentation really makes it work, especially the drums that explode near its finale.